The olive oil sector was full of ups and downs during 2015. A price increase of 28 per cent contrasted with a 29 per cent drop in production, due to a harvest decimated by drought in Spain and diseases in Italy. According to the Spanish website revistaaral.com, a liter of olive oil has reached its highest price in a decade after a sustained escalation of prices by 41.6 per cent in the last four years. In the same period, the sales volume decreased by 8.7 per cent. Now the industry faces a challenge, as consumers are starting to turn to other options when confronted with the high cost of olive oil. Total oil consumption dropped by 3.2 per cent last year (over 15 million liters less than the previous one). Segment-wise, olive oil was a big responsible for the drag, since the sub-category lost 7 per cent of its volume sales compared to the previous period (more than 21 million litres of oil). 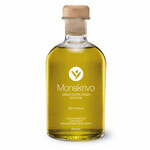 At the same time, however, seed oils increased their volume by 3.5 per cent. In 2016, the trend is likely to continue as olive oil prices are still high and consumers continue to include seed oils on their shopping lists.